We all know that Aamir Khan is starring as a former wrestler and now coach Mahavir Singh Phogat in his upcoming movie Dangal. It is a biopic on Mahavir and how he trained his daughters Geeta Phogat and Babita Kumari to become wrestlers and champions. As Aamir Khan has spent quite a lot of time with Mahavir and his family, he eventually became close to them. So, when Mahavir invited Aamir to Geeta’s wedding which happening on November 20, he couldn’t say no to it. Geeta Phogat is marrying wrestler Pawan Kumar. 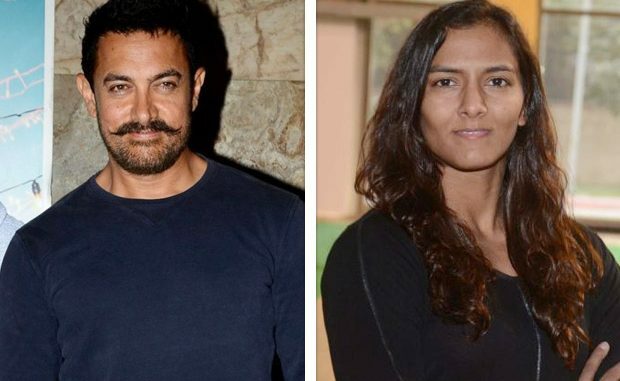 On Wednesday, Mahavir Phogat spoke to Aamir inviting him to the wedding and he agreed to come. Even director Nitesh Tiwari will be joining the wedding celebrations. Mahavir said that the preparations are in full swing. The Sangeet and Mehendi ceremonies will be held on November 19. The wedding will take place in Charkhi Dadri in Haryana’s Balali village. Speaking about Aamir and his wife Kiran Rao, Mahavir said that he has met Aamir around eight times. They used to spend six hours together talking about Mahavir’s life. He said that Aamir gave him a lot of respect. He even mentioned that Aamir and Kiran had lovingly served them food while on a lunch together. Meanwhile, Dangal is scheduled to release on December 23.